Federal Member for Gippsland Darren Chester will today announce $250,000 to build a new exhibition and storage shed at the Yarram Showgrounds. Mr Chester said the derelict old shed was unsafe and urgently needed replacing. “The new shed will have a large indoor space and will become a valuable community asset for Yarram,” Mr Chester said. “There will also be safe and secure permanent storage that will be of great use to local groups. “The new shed will be used by many different community groups, not least the Yarram Agricultural Society, but it won’t just be used at show time. It will be in demand throughout the year, including for community exhibitions, training, garden, flower and poultry shows, and special events such as discos and dances. Yarram Agricultural Society secretary Rebecca Morton said the old shed was in such a bad state of repair that the only viable option was for it to be demolished. “The old exhibition shed is literally falling down,” Ms Morton said. “It was built in a low-lying section of the showgrounds without adequate drainage, so the structure has been badly affected by water. “The building isn’t lined, so animals can get in and make a mess. It’s a huge job for our volunteers to get the space into some sort of acceptable state for show day. “The floor is uneven and sodden, the walls are warped and water damaged, and the central display area is rotten and unstable. It really isn’t safe for our volunteers or the general public. 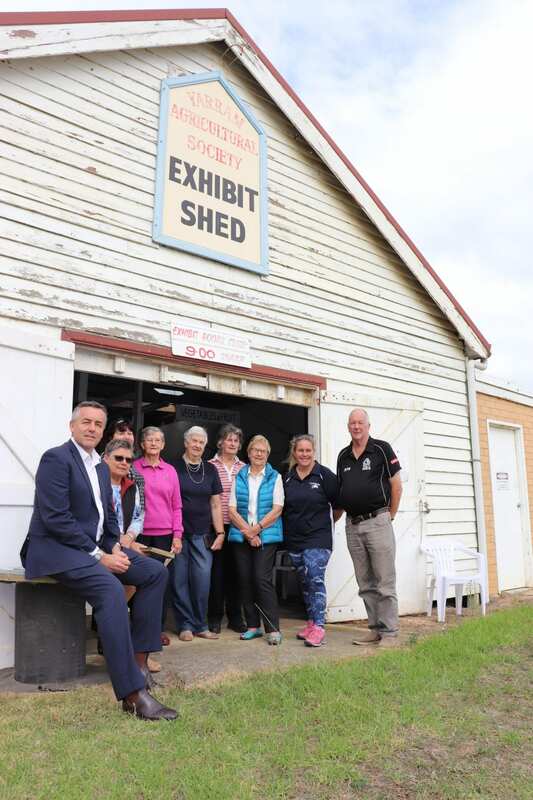 “During the Yarram Show, the new shed will be used to display the needlework, art and craft, photography and cooking and possibly other indoor exhibits, such as photography and additional poultry exhibits. “It will make the job of our volunteers a lot easier. We will be able to reorganise how we have the exhibits judged and staged to provide better access and more time for the community to see them on show day.